Reflections and Ruminations: Practicality, convenience and the faith life. Practicality, convenience and the faith life. When our choices and decisions made in life are only based on practicality, we may not be always end up choosing or doing the things that are going to help us to flourish in life. “It’s just not practical” is the response I often get whenever I am on a one-to-one discussion, giving spiritual direction to people who come to me for advice on living their spiritual lives. I suppose that if I were to only use practicality or convenience as a guideline to carry out many of the Church’s spiritual norms, I wouldn’t be incorporating them into my daily schedule and life plan with any regularity – e.g. devoting one hour a day of my time before the Blessed Sacrament, or spending half an hour praying the Divine Office, praying the Rosary every day, or taking time to prepare a decent reflection to be shared at daily Mass. In the eyes of the world, making sure that these are done every day come rain or shine, is simply not practical. Our days are just full of activities and work as it is. Aren’t these things just ‘getting in the way’ of so many truly important things in our lives? What more if one is a parent of a family that has many children, each with their own needs? I will agree that all those practices I mentioned before are really not practical. And I am sure that the Church knows very well that they are indeed not practical, because practicality has never been and never will be the yardstick and measure of the acts and norms of the faith life that lead us to holiness and eventual sanctification. Yet, despite this, we do know doing these with regularity bodes well for our lives. In all of them, not only is effort needed on our part, but above all, love. It seems trite to say this, but I am more and more convinced of this. I see its truth in the very lives of the people I guide and give direction to. Passivity seems to be the norm for us human beings, and this is seen in our collective human experience – that of preferring the path of least resistance, of choosing something easy rather than something challenging, of leaning towards something requiring less of ourselves in terms of applying ourselves than more, and in preferring to float along life’s lazy river than to swim upstream. Make no mistake about it – love really does require effort, and the more effort there is, the more love is needed. Love in its purest form is always selfless, disinterested in any returns, and for the benefit of the other. In married life, this will be experienced when one’s spouse cannot (or is unwilling or unable to) return this love in the way or extent that it is given. In my journey with engaged couples that I prepare for marriage, I have come to see that the matter of finance and money is often sensitive, and for justifiable reasons. I usually have just one piece of advice to give them, and this advice was not something that came out of my seminary training. Rather, it was through my years of counselling married couples and seeing how marriages which had sweet beginnings, ended up being either sour, cold or bitter. It isn’t about there not being enough money in the marriage, but that there isn’t transparency in the way money is either earned or kept. One way to prevent this from happening is to not have any secret or private bank accounts or sources of income in a marriage, but that all finances be brought into one joint account. This way, all expenditures are fodder for conversation and dialogue, requiring there to be humility in the marriage. Where one previously had complete freedom and independence before the marriage, there is now a certain limitation or curtailment of one’s absolute independence, and one humbly makes the request of the spouse if one fancies purchasing some item for oneself. Anything that is a ‘secret’ is potentially toxic in a marriage. In all marriages, there needs to to be transparency and honesty at all levels. The first response by the couples that I speak to is inevitably variations of “it’s not practical”. No, it isn’t practical, nor is it convenient. I always begin by agreeing with them. Then again,, neither is marriage practical nor convenient. It takes effort to make a marriage work and even more effort to make it last. Neither is humility practical. Being faithful, be it being faithful to prayer or being faithful to one’s marriage vows is also never going to be practical either. I know that what I am going to mention next could be misread as some form of horn-tooting, but I shall take the risk. It is a real example of doing something without an eye toward practicality nor convenience - my writing of this weekly blog. My keeping alive this weekly written reflection of mine on faith and life isn’t very practical. Nobody keeps tabs on its regularity, no one has asked me to start it, I don’t get a cent from this practice, and oftentimes, I do find myself being tempted to stop writing these thoughts altogether, especially when the well of inspiration appears to be running dry. But this much I know – it is done with much love. If the love and effort I put into this work ends up being read by someone who lacks an experience of love in an unconditional way, or needs some encouragement in life, it would have served its purpose. I can understand how some regular bloggers may be driven by the amount of money that can be earned from their craft. It has proven to be a good source of income for some. However, the joy that comes from the fact that my work made a difference to the faith-life of one who took the trouble to read these weekly thoughts, impacting their lives positively, makes it worth the effort each week to extend myself to do this, and to do this with love. What became very clear to me as I wrote this piece is that salvation itself was not practical at all. It wasn't practical that God became man in Jesus Christ. It wasn't practical for Jesus to live life as a human being, and it certainly wasn't practical nor convenient for Jesus on Good Friday to submit himself to the humiliation and debasement of the crucifixion on Golgotha. But look what the impracticality and inconvenience resulted in for all of humanity - past, present and future. 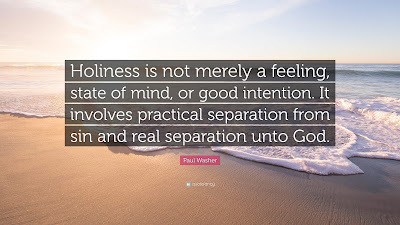 If we put aside notions of practicality and convenience in the activation of our faith lives, or in anything that we apply ourselves to, we will be setting up less and less resistance to the ways the Holy Spirit wants to work in our lives. However, if we are only going to be practical in our faith lives, we could just end up being practically faithless. I had just downloaded the Universalis App on my smartphone for convenience and maybe that’s why your current post immediately put me in mind of the practicality of mobile apps and faith! On many occasions I have found that having a Bible App on my mobile has been very helpful and convenient, especially when I need to check on a Bible quote. A book version is both heavy and cumbersome to lug around, even in my out-sized hand-bag. So it is undoubtedly more convenient and practical to switch to smartphone apps. The same applies to prayers, Office of Readings and Devotionals……it seems too good to be true. With my fingers on the phone, I can do cross-referencing of Bibles, Commentaries and so much more……. So armed with the convenience of these apps - surely I would grow in wisdom and deepen in my faith? Musing on what you wrote on your Monday blog , the above line, especially, made me reflect further and I found that - this was not really so! Reading your weekly sharings is becoming more like an adventure as one never knows what can be un-earthed ! Thanks, Fr. Why forgiveness is so challenging for many.